Novation is 'starting something'… but what? 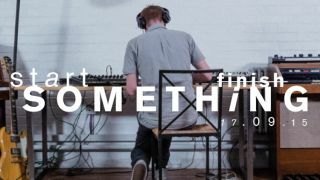 In what looks suspiciously like a teaser campaign for a new product, Novation has launched its Start Something initiative. Focusing on the struggle to make a piece of music out of nothing, this already features video interviews with the likes of Goldie, Second Storey and Foxtrott, with more being added on a daily basis. What's more, the company says that, from 1 October, it will be helping you to 'Start Something'; the question is, how? Our instincts tell us that a new product is in the offing - one that will help you during the initial stages of the music production process - but there are no other details to go on. You can sign up to receive more information as it's released on the Novation website, and we'll have have more for you when beans are spilt at the start of next month.